This project has been supported by St Clement’s Church since 1997. 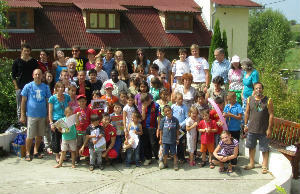 The vision was to provide a centre in the Romanian countryside where disadvantaged young people and disabled people of all ages, from the industrial towns of Western Romania could come for a week or more to enjoy fresh air, good food and companionship in a Christian environment. 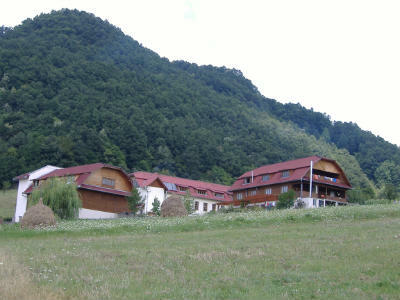 In 1997 the first building, a wooden chalet, provided a base for project leaders Ben & Maria Medrea to run the first camps. The children, about 30 boys and girls, all slept in tents. There was no running water, only earth closets, and no cooking facilities. In 2003 the fourth building was completed. The facilities now provide separate sleeping accommodation for boys and girls, flush toilets, showers and a fully equipped kitchen with dining room. In addition, access to the buildings and recreation areas has been designed with disabled users in mind. In 2000 we were asked to provide a week’s holiday at the House of Grace for young people who live in an orphanage in Uricani. Each year since then a team of people from St Clement’s (led by John & Angela Fisher) has raised the necessary funding and provided for all the activities each day for the children’s holiday. These include games (indoor and outdoor), craft activities, evening entertainment, and Bible study and worship sessions. Over the years close links have been made with the young people from Uricani and, with support from members of St Clement’s Church, several have been able to visit England. Also, in the last five years, we have been joined by children from an orphanage in the town of Lupeni (about 5 miles from Uricani). Their holiday has been funded by the Homelands Free Church, Frinton, Essex. In the last three years we have continued to support the holiday, but it is now led by people from the Homelands Free Church in Essex, Brian Davis and Eddie King, and Brian's son Martin from Wales. Each year we are invited to join with other churches across the UK to provide shoeboxes filled with Christmas gifts to be given to young people living in the most deprived areas of Romania around the town of Hunedoara. In November 2014 we were able to send about 120 shoebox presents to Romania along with a quantity of hand-knitted woollen jumpers etc. and other items. In 2015 we increased the number of shoeboxes up to 136 as well as sending 5 large bags of hand-knitted jumpers, hats, scarves sand gloves. 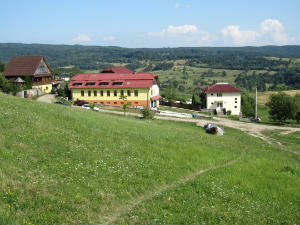 Although for many people in Romania, living standards continue to rise, there are still large numbers living on very low incomes through lack of employment, especially in the rural areas. One consequence of this poverty is their inability to give their children any presents at Christmas. 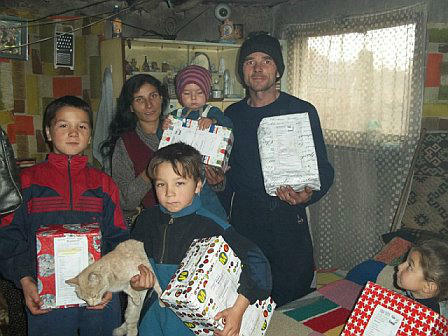 For some years we, along with other churches across the UK, have been sending shoeboxes filled with small gifts for deprived and disabled children who live in and around the town of Hunedoara (near the House of Grace). 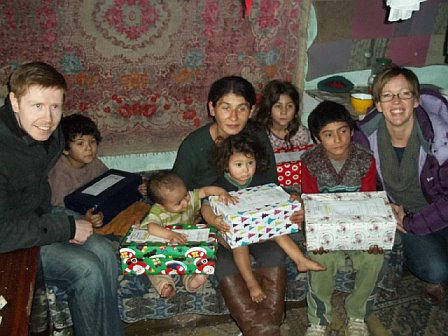 Without these shoeboxes, these children would have no Christmas present at all. The town of Hunedoara (about 20 miles from the House of Grace) was once a busy industrial town with a large steel works giving high levels of employment. After the Communist regime ended the steel works closed down. The resulting very high unemployment led to many families living in severe deprivation. 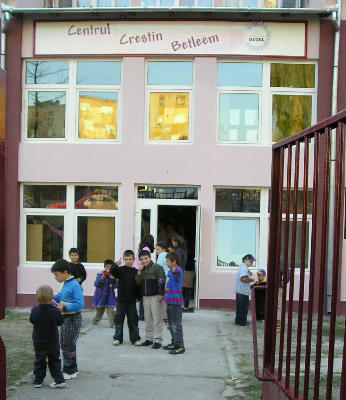 In the poorest area of the town is the Bethlehem Christian centre where Corneliu Medrea, a Baptist Pastor, aims to support the most deprived people in the community and especially the children. In November 2018 an amazing total of 204 Christmas shoeboxes began their 1,500 mile journey to the Bethlehem Centre in Hunedoara, Romania. 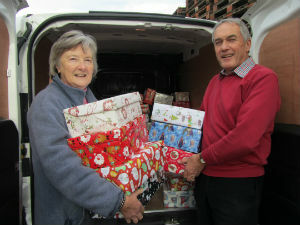 There they joined many hundreds of other shoeboxes from across the UK. Pictured are George Raggett, Mo & Ted Willis, Jonathan Foster and John & Angela Fisher during the loading of the van ready to leave St Clement's. Every box is greatly welcomed. Below are some photographs showing the boxes on their way from Poole via Cranleigh to young people in and around the town of Hunedoara.